“If you want a friend in Washington, get a dog,” goes an old adage. Just getting to Washington will be a test of friendship for the candidates in the dogfight over California’s new, redistricted 26th District in the U.S. House of Representatives. One of the country’s hottest congressional races kicked off when one friend backed down from a fight against another friend. Rep. Elton Gallegly, R- Simi Valley, announced his retirement instead of challenging his GOP colleague, Rep. Howard “Buck” McKeon, R-Santa Clarita. 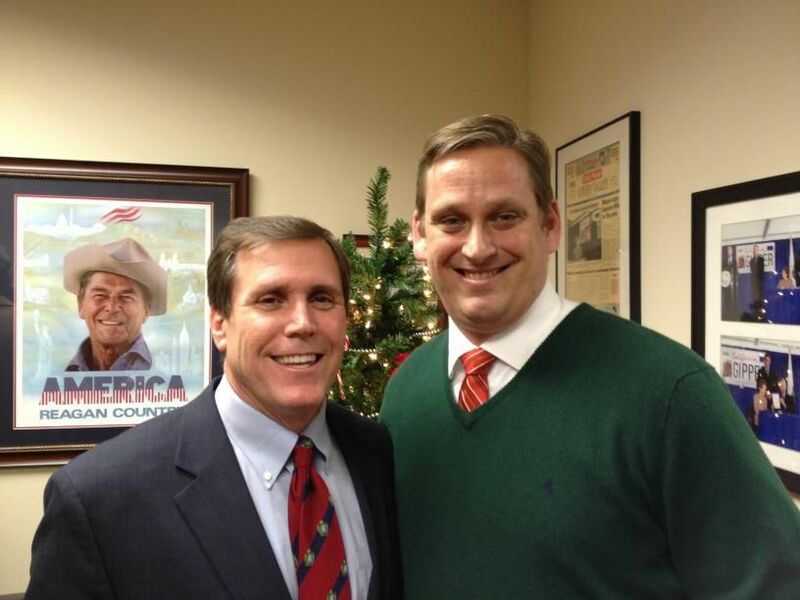 Strickland delayed his campaign announcement a few days, out of deference to his friend, Gallegly. “Right now, I’d just like to focus on Elton and let him have his day,” Strickland said when first asked about the open seat. Ventura County’s gossip mill has another version of the story. “LOL since they famously loathe each other,” tweeted Democratic consultant and gossip king, Jason Kinney. Gallegly and Strickland are more like “frenemies.” They’ve engaged in proxy battles for control of the Ventura County Republican Central Committee for more than a decade. While Strickland and Gallegly moved past their rivalry, the 26th House race has turned two lifelong pals into fair-weather friends. One of Strickland’s “good friends” is Santa Clarita Community College Trustee Scott Wilk. They became fast friends years ago, while working as aides to conservative superstar Rep. Tom McClintock, R-Granite Bay. Over the years, the friendship has blended the personal with the political. In 2008, Wilk dispatched his son, Scott Wilk, Jr., to work on Strickland’s contentious California Senate campaign. “Lil’ Wilk” waved Strickland campaign signs in the morning, walked door-to-door during the day, and stuffed envelopes at night. Strickland’s victory also gave Wilk Jr. the chance to learn the family business as an aide in Strickland’s legislative office. Wilk counted Strickland among his friends, which means, according to the friendship paradox, Strickland has more friends than Wilk. Strickland’s friend list includes House Majority Whip Kevin McCarthy, R-Bakersfield. McCarthy and Strickland are BFFs, best friends forever, after serving together in the State Assembly. 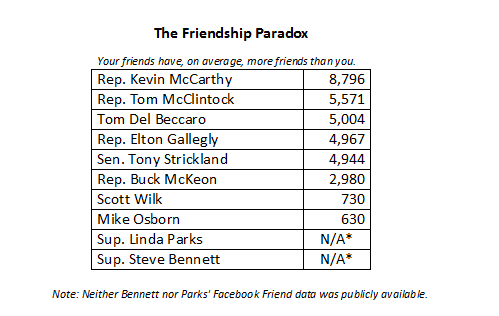 McCarthy, sticking with the friendship paradox, has more Facebook friends than Strickland, as the nearby chart shows. One of McCarthy’s many friends is Rep. McKeon. McKeon objected to Strickland’s endorsement of Wilk for State Assembly because of another friendship. McKeon’s wife, Patricia, a sort of friend with benefits, is running for the same Assembly seat as Wilk. 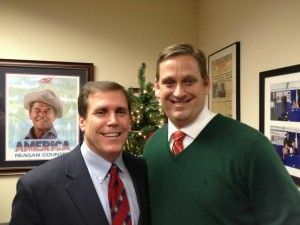 Blogger Dave Bossert reported, “Strickland was put under intense political pressure from Republicans” to drop Wilk. To recap: McKeon got his friends in high places (the GOP Caucus) to help his friend with benefits (Patricia McKeon) by pressuring McCarthy into convincing his BFF (Strickland) to ditch the endorsement of his lifelong friend (Wilk). If you’re having trouble keeping up, you might need to track down a teenage girl to explain this next part. From 2001-2006, Rep. McKeon “got by with a little help from his friend.” A district director named … Scott Wilk. As McKeon’s top district aide, Wilk helped build McKeon’s political machine and made sizeable contributions to McKeon’s re-election campaigns. Wilk entered the Assembly race long before Patricia expressed interest in any political office. Now, he’s facing the political machine and name identification he helped build. Wilk has to be wondering, “With friends like the McKeons, who needs enemies?” If, by this point in the story, you’ve lost all hope in political friendship, it’s not all de-friending in California’s 26th congressional race. California Republican Party Chairman Tom Del Beccaro, a longtime Strickland friend and campaign contributor, made a rare pre-primary endorsement of Strickland’s congressional bid. Locally, another Strickland friend, Ventura County GOP Chairman Mike Osborn, came through with a masterful, early endorsement by the county party. Under the California Republican Party’s new bylaws, the local party endorsement is a prerequisite before any party apparatus can get involved. The Osborn-orchestrated vote was unanimous. “There is no better choice to represent Ventura County in Congress than Tony Strickland,” Osborn said of his good friend. Both Del Beccaro and Osborn can thank Strickland for helping them secure their party positions. State legislators appoint delegates to the state party and serve as ex-officio members of county committees. It’s also safe to assume that the Los Angeles County Republican Party will follow Ventura County’s lead. The LA County GOP Chairwoman is Lynn Haueter. 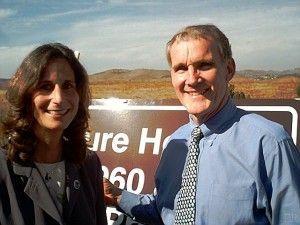 The Santa Clarita Signal recently dished that Haueter’s day job is as a full-time district representative for Sen. Strickland. According to her official party biography, Haueter was appointed to the county central committee by Strickland, after she helped with his 2008 campaign. Haueter’s name is well known in the Santa Clarita Valley because of her husband, Bob. Yet another political friendship with benefits. Bob, who has a reputation as one of the most effective political professionals in California, works as the deputy chief of staffto Rep. McKeon. Wilk, too, has some notable friends. McClintock, the political operation where Strickland and Wilk first forged their friendship, announced that he’d stick with Wilk. “He impresses the hell out of me and that was one of the easiest endorsements I’ve made in my whole career,” McClintock told National Journal. Liberals can’t take too much pleasure in the Republican trouble among friends. Linda Parks and Steve Bennett, both liberal Ventura County Supervisors, have entered the 26th House race. Both are longtime leaders in the SOAR environmental movement. Both have unimpeachable environmental credentials. 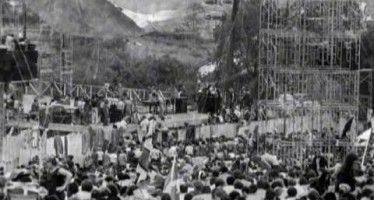 Both “led the political fight to save Ahmanson Ranch,” where they are shown in the picture at the right. Both have endorsed each other in their past supervisorial campaigns. In 2007, Parks stood by Bennett’s side when he launched his re-election campaign. Parks was with Bennett on day one, a full year in advance of the election. In 2010, Bennett reciprocated with crucial support for Parks’ re-election fight against Audra Strickland, the wife of Tony. Audra was an assemblywoman who had to leave that office because of term limits. She lost badly in Parks in the election for supervisor. Now, these one-time friends, Parks and Bennett, will be competing over the same pool of voters: liberals, women and environmentalists. California’s new primary rules might re-unite these friends-turned rivals again after the primary. The “Top Two” system means the top two vote winners in the primary, regardless of party, move on to the general election; no other choices will be on the ballot. Should Bennett lose to Parks in the primary, Democrats may consider endorsing Parks in the general election. Strickland is considered Public Enemy No. 1 by Ventura County Democrats. Meanwhile, Parks said in her campaign announcement she’d consider “no party preference,” a new designation under the Top Two system. Democrats may have no choice but to adopt the mantra: the enemy of my enemy is my friend. What’s the lesson from this case study in political friendship? Good friends are hard to find. When in doubt, stick to man’s best friend. “Better make it a small dog, because it may turn on you also,” warned former Defense Secretary Donald Rumsfeld, in what’s come to be known as the Rumsfeld Corollary, according to Safire’s Political Dictionary. 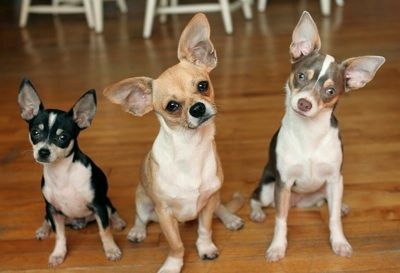 Maybe that’s why Strickland has three Chihuahuas. As 1st Vice-Chair of the Democratic Party, I can assure that the Ventura County Democratic Party will not be endorsing Linda Parks. Parks will be a vote for a Republican Speaker. Further, we are prohibited from endorsing Republicans by CDP bylaws. 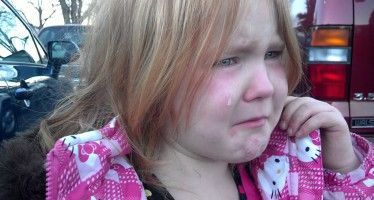 This story is a cautionary tale to those who consider themselves friends with the Stricklands. If there is ever a choice to be made between your friendship and their careers, tony will waste no time sacrificing your friendship on the altar of ambition. Linda Parks is a REPUBLICAN and has been registered as such for over a decade. To say she is liberal is incorrect. BUCK MCKEON is the PUNK REPUBLICAN who proposed the DETAINEE SECURITY ACT which scrapped THE BILL OF RIGHTS. THIS COWARDLY PUSS WANTED TO PULL SOMETHING REAL CHICKENSH-T THEN SKULK OFF INTO RETIREMENT. COUNTRYWIDE – the company that gave McKeon a free home loan – was a beneficiary of the $700 BILLION BAILOUT. They have a vested interest in putting us in prison if we try to investigate their involvement in THE LARGEST RIPOFF OF ANY PEOPLE IN HISTORY. AND THAT’S EXACTLY WHAT THE DETAINEE SECURITY ACT IS FOR. They’ll MAKE US DISAPPEAR if we try to bring the government (i.e. the “jewish” bankers who control our government) to justice for their TREASON. Anybody who’s familiar with the NAZIFICATION OF GERMANY can see we’re now on the same road. If you’re not familiar, read THE RISE AND FALL OF THE THIRD REICH. It was the super-rich who benefited the most from nazism too. They put you where they wanted you. They paid you what they wanted to. If you complained you were loaded onto a cattlecar for internment. And yes, the same “race” – “jewish” bankers – financed Hitler as the controlled opposition. Sort of like Romney will be, to thwart America’s leftward drift under Obama, supposedly.